Murcia, Spain Event features educational presentations, demos, and business / career building opportunities. Toronto, Ontario, Canada (May 28, 2015) – Until recently, the non-profit and non-proprietary Immersive Technology Alliance was limited to corporations or academic institutions. At the 2015 SVVR conference, the ITA has announced the immediate availability of individual memberships for all professionals without corporate requirements. First year membership is only $149.99 and includes the new Immersed Access service. Qualified content-making companies can join for free for the first year. 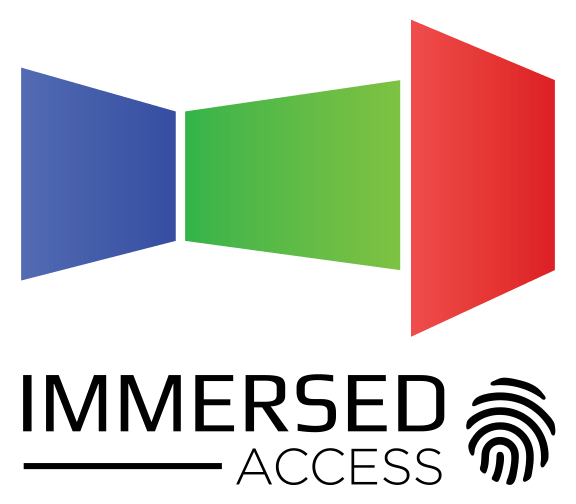 Immersed Access is an NDA-backed online community for the purposes of making it both safe and easy for the industry to share, collaborate, and learn. This private site includes educational sessions, locked-down discussion forums, and community-submitted blogs and articles. The service is non-partisan, all platforms and professionals are welcome, and contributions benefit the industry at large. “The industry rarely collaborates online because they don’t want content to be shared with the press, or the materials aren’t yet ready to be publicly available, or they don’t want to be embarrassed as they go through the experimental and learning stages like everyone else. Open to all, Immersed Access is where future industry leaders and the most tenured are able to safely interact as a community. Who’s in the community? That’s part of what’s confidential,” explained Neil Schneider, Executive Director of The Immersive Technology Alliance. To help bolster The ITA and Immersed Access, the Canadian 3D & Advanced Imaging Society is dissolving and joining forces with The Immersive Technology Alliance. Featuring over 600 member companies and professionals, the Society is encouraging its membership to join The ITA in its place to fulfill its mandate, and their leadership team will continue active roles in the now larger alliance. Key interests for the original Society membership includes 360-degree VR experiences and stereoscopic 3D cinema. Other relationships have been struck with SIGGRAPH 2015, SVVR, and more to be revealed soon to help drive awareness for The ITA and to start building a constructive community for all professionals in the space. 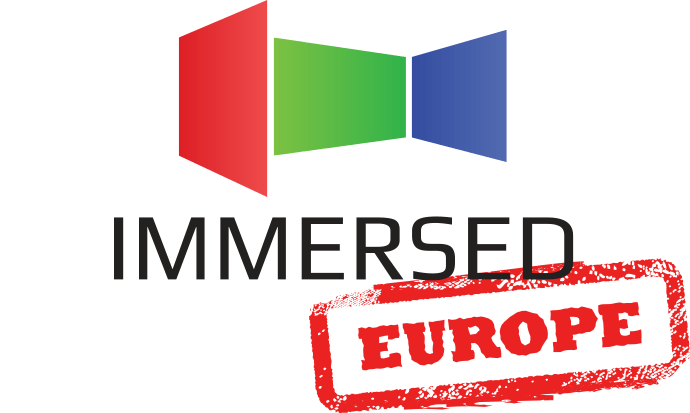 The Immersive Technology Alliance is also getting ready to launch their next industry-building Immersed conference on October 4-6, 2015 in Toronto, Canada, and the new Immersed Europe conference in Murcia, Spain on September 3-4, 2015. Speakers and industry are encouraged to reach out right away by emailing speakers@getimmersed.com! Non-profit and non-proprietary, it’s the official voice and industry body for technologies like augmented and virtual reality, 3D, gesture technology, and more. Toronto, Ontario, Canada (January 5, 2015) – The Immersive Technology Alliance (ITA) is currently forming working groups to make effective quality assurance and software compatibility standards for virtual reality (VR) devices. Defined industry standards will allow content makers to confidently produce experiences for all immersive solutions and community platforms. “The ITA is a unique forum for diverse companies to identify collaborative opportunities to accelerate the mainstream adoption of virtual and augmented reality. Consumer-ready VR and AR will require many interoperating standards, and Khronos looks forward to working with the ITA to help make that vision a reality,” said Neil Trevett, President, Khronos Group (makers of OpenGL). Early ITA participants include ImmersiON-VRelia, YEI Technology (PrioVR), FOVE, VRVANA, Siliconarts, Next Galaxy Corp, University of Central Florida and more. A private ITA CES 2015 meeting will reveal additional participating technology leaders. ITA membership is collating and developing the required knowledge that will define a measurable experience and specification to aim for and be rated against. The compatibility standard will follow: created internally or passed on to a qualified industry-wide standards body. This standard will help fulfill the quality assurance specification. “ITA standards are reminiscent of the work we did in the early days of digital cinema to get the industry to adopt the format. This will be a major catalyst for the widespread adoption by content makers and consumers alike,” said Mary Spio, CEO, Next Galaxy Corp.
“Less time content makers spend on reinventing the wheel and more time spent on valuable differentiation of their products will accelerate the industry. The more informed debate and varied discussion we can have in the creation of standards the better,” said Alan Price, President of The ITA. “Academia has been working on VR for over 30 years. This is an invaluable contribution for creating Virtual Reality Standards and supporting developers and industry,” said Dr. Joseph LaViola, Director of the Interactive Systems & User Experience Research Cluster of Excellence at the University of Central Florida. “VR experiences should provide the best user experience possible independently of hardware choice. The only way is by standardizing the interaction among the different layers, cameras, sensors, HMDs, Human Interface Devices, Mobile phones, and more. The ITA has the structure, people, tenure and know-how to build the big picture and put the industry first,” said Manuel R. Gutierrez Novelo, CEO of ImmersiON-VRelia. “We look forward to contributing to a collective standard that will allow content and platform providers to confidently support the imminent explosion of immersive hardware accessories. This is a critical foundation piece for the next big thing in gaming and simulation,” said Francesca Hartop, CEO of YEI Technology. “The ITA provides a unique platform for both hardware makers and content producers in that it not only supports traditional high profile technologies, but also embraces emerging next-generation technologies that have potential for success,” said Colin Shin, CMO of Siliconarts. “This is our chance to get the sharpest minds together and do something amazing. Everyone would benefit from a non-partisan proof-of-quality seal, and an eventual industry-wide VR standard would help make sure that creating and selling exceptional virtual reality content is easy and efficient on all solutions,” said Bertrand Nepveu, CEO of VRVANA. Toronto, Ontario, Canada (December 16, 2014) – Organized by The Immersive Technology Alliance, the Immersed conference was the first major East Coast industry building event for technologies such as virtual reality (VR), augmented reality (AR), and stereoscopic 3D. Featuring over 40 speakers and dozens of exhibitors, Immersed catalyzed new business success through networking, media exposure, and education. Proceedings from Immersed are being gradually made available online at http://www.getimmersed.com. Follow Immersed on Twitter at http://www.twitter.com/getimmersed to be informed of new video releases! “Immersed exceeded all my expectations. The exhibition alone was worth the price of admission, with some of the best curated technologies and applications of the AR, VR, and 3D industries. Couple that with the stellar speaker line up, this was one event that was not to be missed, ” said Ana Serrano, Chief Digital Officer at Canadian Film Centre and Producer of the Body/Mind/Change David Cronenberg Rift Experience. Premium level sponsors included Advanced Micro Devices Inc. (AMD) and ImmersiON-VRelia. Founding Partners were Canada Media Fund and Ontario Centres of Excellence. “Much as the Virtual Reality (VR) movie Lawnmower Man generated maximum inspiration despite being produced for very little money, the Immersive Technology Alliance (ITA) began as a non-profit formed strictly from vision and limited resources. The Immersed conference demonstrated that not only is The ITA gaining its own powerful wings, but it is also fulfilling the VR/Artificial Reality community’s mandate with everyone’s interests and success at heart. The ITA’s growing influence on the industry is both remarkable and deserved. Anyone seriously interested in helping this industry grow for the long term only benefits by joining and participating,” said David Traub, Principal of Epiphany Film Fund and Immersed speaker who was also responsible for producing the on-display graphics work in the Lawnmower Man. Lawnmower Man is the 1993 science fiction movie that introduced VR to the global audience. “Immersed didn’t just mark the beginning of a first-of-its-kind event, it marked the beginning of new relationships, new businesses, new ideas, and probably new friendships as well,” said Ray Sharma, Founder & Chairman of XMG Studio Inc and Founder & Executive Managing Director of Extreme Venture Partners. “Immersed was tremendously successful for us. We made some very important connections for our business and have been selected by Ontario ministry of Economy & Trade to go to NAB Show as part of the Ontario trade mission. There will be measurable results from the meetings we had,” said Irene Vandertop, Producer, DEEP 360. Dimension Technologies Inc. showcased their latest 3D monitor prototype at Immersed, and garnered media attention and praise. They also benefitted from a new business relationship they didn’t have access to before. “After seeing the DTI glasses-free 2D/3D displays at Immersed, Nvidia gave us the 3D Vision green light. Nvidia is one of the leading 3D software makers for gamers, so this is a big deal for us,” said Thomas Curtin, VP of Business Development for Dimension Technologies Inc.
“Everyone felt a certain pride in having an event like this in Toronto. The attendees, speakers, and exhibitors regularly commented that Immersed was unique compared to other events they are used to attending, and we are certain it’s going to be even bigger and more influential next year,” said Neil Schneider, Executive Director of The Immersive Technology Alliance. The next annual Immersed conference in North America is tentatively scheduled for October 4-6, 2015 in Toronto, Canada. A non-profit corporation and non-proprietary in nature, the ITA is the official voice and industry body for technologies like augmented and virtual reality, 3D, gesture technology, and more. http://www.ita3D.com. 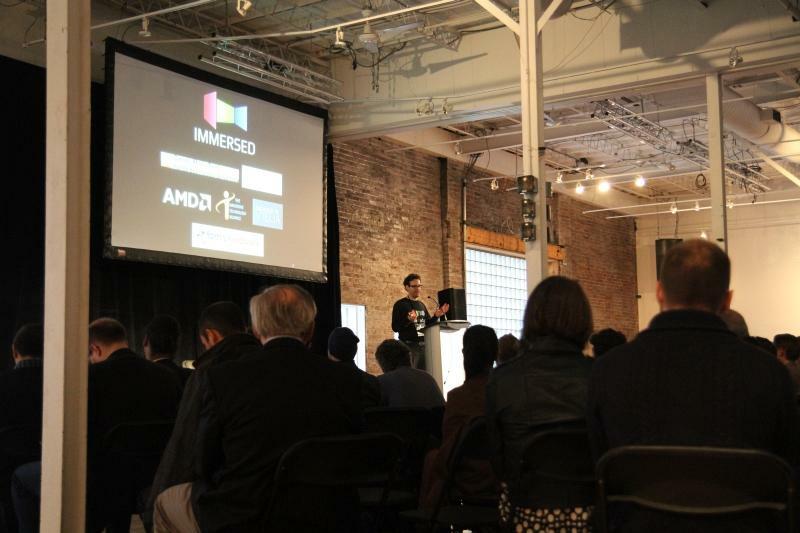 TORONTO, ONTARIO–(Marketwired – Nov 13, 2014) – Organized by The Immersive Technology Alliance, the Immersed conference features two days of sessions by worldwide virtual reality (VR), augmented reality (AR), and 3D experts. It takes place at 99 Sudbury in Toronto, Ontario on Sunday November 23rd to Monday November 24th. Full registration includes sessions, meals, and priority exhibit access. Premium level sponsors include Advanced Micro Devices Inc. (AMD) and ImmersiON-VRelia. Founding Partners are Canada Media Fund and Ontario Centres of Excellence. The Network of Angel Organizations of Ontario, The Khronos Group, The Canadian 3D and Advanced Imaging Society and more are Immersed promotion partners. Sample international speakers include John Gaeta (The Matrix Trilogy Academy Award winner, Lucasfilm), Mary Spio (Next Galaxy), Neil Trevett (The Khronos Group, Nvidia), Scott Broock (Jaunt), Shannon Blake Gans (New Deal Studios), Karl Krantz (Silicon Valley Virtual Reality), and more. Canada’s Habib Zargarpour (Creative Director, Microsoft Studios), Gord Harris (Christie Digital), David Nalasco (AMD), James Milward (Secret Location), Ana Serrano (Canadian Film Centre Media Lab), Ray Sharma (XMG Studio), James Stewart (Geneva Film Company), and more will also be speaking. “I’m thrilled to be joining such a fantastic lineup of immersive technology pioneers and visionaries. 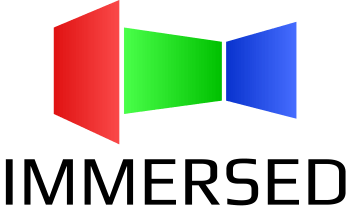 SVVR is proud to support Immersed and its organizers as we share a common goal of helping to build a large and diverse industry,” said Karl Krantz, Founder and Curator of Silicon Valley Virtual Reality (SVVR) Meetup and Conference. Exhibition features immersive experiences and technology by Occupied VR (David Cronenberg Experience) and the Canadian Film Centre, Jaunt, Dimension Technology Inc., and exclusive first-sight material! Register now as spots are limited, paid registrants get access priority. Professionals and entrepreneurs alike are encouraged to attend. Representatives from the media, investment community, and the world’s leading expertise will be at Immersed. All the tools needed to firm up a career or business with immersive content or technology will be present. Immersed features a training stream for content makers learning about the latest technologies on both desktop and mobile platforms. Recognized experts include Sebastien Kuntz (MiddleVR), Ben Miller (Wemo Lab), Dr. Jason Jerald (Nextgen Interactions), and Arun Kulshreshth (University of Central Florida). Temporary code “ImmerseMe” reduces registration by $75. Deeply discounted exhibition options available for qualified early start-ups requiring media and investment group attention. Contests and prizes to be announced! Free exhibition opens to the general public on the Sunday afternoon. Limited space! Register for free online and in advance. TORONTO, ON–(Marketwired – Oct 21, 2014) – Organized by The Immersive Technology Alliance, the Immersed conference features two days of sessions by worldwide Virtual Reality (VR), Augmented Reality (AR) and 3D experts. It takes place at 99 Sudbury in Toronto, Ontario on Sunday, November 23rd to Monday, November 24th. Luminaries include John Gaeta (Academy Award winner, Creative Director for New Media and Experiences, Lucasfilm), Habib Zargarpour (Creative Director, Microsoft Studios), Mary Spio (President, Next Galaxy), Neil Trevett (President, The Khronos Group, VP at Nvidia), David Nalasco (Senior Technical Marketing Manager, AMD) and more. Speakers added regularly. Founding Partners of Immersed are the Canada Media Fund and Ontario Centres of Excellence (OCE). The Network of Angel Organizations of Ontario, The Khronos Group, The Canadian 3D and Advanced Imaging Society and more are Immersed promotion partners. “Angel investors will surely take an interest in Ontario’s best immersive-tech startups, and the Network of Angel Organizations Ontario is grateful for the opportunity to learn more about this new and exciting technology,” said Mark Lawrence, Director, Network of Angel Organizations Ontario. Markets include video games, immersive cinema, health, and more. New products will be announced and revealed, all applicable professionals and entrepreneurs are encouraged to attend. Representatives from the media, investment community, and the world’s leading experts will be at Immersed. All the tools needed to firm up a career or business with immersive content or technology will be present. Immersed also features a training stream for content makers learning about the latest technologies on both desktop and mobile platforms. The growing list of recognized experts includes: Sebastien Kuntz (I’m in VR), Ben Miller (Wemo Lab), and Jason Jerald (Nextgen Interactions). Temporary code “gettingimmersed” reduces registration by $200. Promotion ends soon! Deeply discounted exhibition options are available for qualified early start-ups requiring media and investment group attention. Contests and prizes to be announced! Hotel discounts, registration and exhibition space are limited. Free exhibition is available to the general public on Sunday afternoon. These ‘exhibit only’ registrations are available online and in advance. Immersed is organized by The ITA. Non-profit and non-proprietary, it’s the official voice and industry body for technologies like augmented and virtual reality, 3D, gesture technology, and more. http://www.ita3D.com. October 2, 2014 – The Immersive Technology Alliance (The ITA) is pleased to announce that AvaCon will be leading a working group pertaining to the development and interoperability of the metaverse in the VR space. ITA member AvaCon, Inc. is a 501(c)(3) non-profit organization dedicated to promoting the growth, enhancement, and development of the metaverse, virtual worlds, augmented reality, and 3D immersive and virtual spaces. Other new ITA members include Siliconarts, Cubicle Ninjas, and Cloudhead Games. “Whether it’s through our Board of Directors, advisory team, or general membership, the alliance works by attracting some of the industry’s brightest minds and providing a professional forum to openly discuss and solve real problems and drive the industry forward. As a non-profit organization, we are here for the industry and by the industry. It’s gratifying to see The ITA reaching that critical mass where working groups like this are now possible, and there is more to come. We have big plans for the near future,” said Neil Schneider, Executive Director of The Immersive Technology Alliance. “Through ITA activities, Siliconarts hopes to deliver its distinguished VR hardware platform (real-time ray-tracing) to the community and embrace the latest VR technologies from other members. We strongly believe that the ITA assets including its members, knowledge, technologies and network will be a great resource to Siliconarts in materializing its technology and, Siliconarts’ contribution to the ITA will allow the organization to be equipped with an optimal hardware platform for near-future VR application.” – Hee Jin (Colin) Shin, Co-Founder. “Cubicle Ninjas’ mission is to craft creative and emotionally engaging brand experiences. The unexplored potential of virtual reality and augmented reality for brand storytelling is thrilling to us. In fact, this spirit of discovery is the reason we wake up each day. We’re honored to join the Immersive Technology Alliance (ITA), which leads the way in fostering cutting-edge creative collaboration and innovation.” – Josh Farkas, Strategy Ninja. “Cloudhead Games is an indie studio with a diverse and accomplished crew that includes AAA blockbuster game development experience. We are building The Gallery: Six Elements, a richly narrative adventure and exploration game from the ground up for virtual reality. The Gallery is fueled by intuitive physical interaction and puzzles, nestled within a deeply immersive environment. As long time VR enthusiasts, we are eager to connect with other VR pioneers through the Immersive Technology Alliance to learn and to contribute to shaping the future of Virtual Reality.” – Denny Unger, CEO of Cloudhead Games. Non-profit and non-proprietary, The Immersive Technology Alliance is the official voice and standards body for technologies like augmented and virtual reality, stereoscopic 3D, gesture technology, and more. 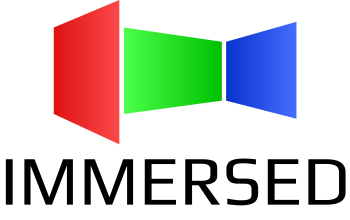 The alliance’s history dates back to 2009 when it was founded as The Stereoscopic 3D Gaming Alliance. Over the years, the alliance has been regularly featured in the press, it has raised government funding for and partnered on academic research pertaining to immersive technology, and has had a worldwide presence through events and technology demonstrations. IRVINE, Calif. (August 15, 2014)— ImmersiON-VRelia announced today the launch of the immersive industry’s first-ever virtual reality commercial entertainment division. The new division will be dedicated to providing head mounted displays and content to amusement parks, visitor attractions, immersive cinemas and promotional platforms. The division is the result of a new partnership between ImmersiON-VRelia and International Immersion Industries. The partnership between ImmersiON-VRelia and International Immersion Industries (3I) marks the first dedicated move in the sector toward supporting the unique needs of the promotional, amusement, attraction and location-based entertainment sectors. The commercial entertainment division’s primary focus in coming months will be developing the Immersion-VRelia ‘PRO Blue Sky.’ The PRO Blue Sky is a ruggedized head mounted display designed to meet the unique needs of entertainment and promotional applications based outside the home. With a groundbreaking 120-degree field of view and dual full high-definition 1080×1920 displays, the ‘PRO Blue Sky’ delivers previously unseen virtual reality features. In addition, the reinforced construction of the PRO Blue Sky, coupled with appropriate warranties and technical support for commercial usage, makes this HMD the only one on the market able to manage the requirements of repeated application in the digital out-of-home entertainment sector. This HMD lets users safely and reliably enjoy immersive head mounted displays in public spaces. This eliminates the danger of using inappropriate consumer development kits not suited for this arena. 3I will undertake sales, marketing and promotional efforts for the commercial platform (PRO Blue Sky), bringing to the partnership its extensive background amassed in the international out-of-home entertainment sector. “A true arcade experience is something that goes beyond what is available at home. Immersion-VRelia is finally bringing that sense of wonder and awe back to the commercial entertainment sector,” enthused Ethan Daniel Schur, CMO of Immersion-VRelia. To support Blue Sky PRO, ImmersiON-VRelia will provide “The AlterSpace,” which will deliver content to entertainment and promotional organizations on demand. The AlterSpace is a cloud-based platform that will allow developers at all levels to design and market content like videos, games, applications, environments, mixed reality and immersive experiences for practically any industry. For further information, investment or to pre-order the PRO Blue Sky, please visit www.ImmersiONhmd.com. ImmersiON-VRelia is focused exclusively on the creation of wide field-of-view 3D Stereoscopic Head Mounted Displays and Heads Up Displays for virtual reality and Augmented Reality for multiple industries. The mission of International Immersion Industries is to enable immersive opportunities in Location Based Entertainment (LBE). LBE spans the gamut of all immersive hardware and software in future Augmented Reality and Virtual Reality Metaverses. For more information, please visit http://www.international-immersion-industries.com. Ontario, Canada, — August 4, 2014 – Non-profit and non-proprietary, The Immersive Technology Alliance (The ITA) is the official voice and standards body for new immersive technologies such as virtual reality, augmented reality, stereoscopic 3D, gesture tech, and everything in-between. The ITA and several of its members will be participating in many functions during the upcoming SIGGRAPH conference and tradeshow August 10-14 at the Vancouver Convention Center. “Along with 15 other virtual-reality related events at SIGGRAPH, the conference will be one of the biggest happenings of the year for virtual reality. The Immersive Technology Alliance has been crucial in helping to bring this effort together. Collaboration and support such as that provided by The ITA will be crucial for the success of this industry,” said Jason Jerald, Principal Consultant at Nextgen Interactions and key organizer of SIGGRAPH’s immersive technology sessions. The ITA is also proud to announce their latest member FOVE Inc. A new head mounted display manufacturer, FOVE is a member of Microsoft’s Venture Accelerator’s program. While final specifications have yet to be released, FOVE’s core technology features eye-tracking for an enriched VR experience, higher performance, and improved interface in immersive space. “With each new ITA member, it’s becoming clearer that immersive technologies like AR and VR are going to be diverse with all kinds of innovative benefits for content makers, technology enablers, and consumers. More importantly, it’s an indicator of industry working together to accomplish great things. We are excited to welcome FOVE to our growing alliance of industry builders and innovators,” said Neil Schneider, Executive Director of The ITA. The ITA’s reason for being is to grow the immersive technology industry through education, joint initiatives, problem solving discussion, networking and non-proprietary representation. Private industry meetings are held regularly with international participation. Basic level membership is free for qualified content makers, and special arrangements are available for start-up technology makers. Email membership@ita3d.com to learn more. 2014 The Immersive Technology Alliance. All rights reserved. Specifications are subject to change without notice. All other trademarks are the property of their respective companies.